Both covers have strengths and weaknesses. But, in the end, my two covers are not so much competing against each other as competing against every other cover in the world. The people who really disliked the grey cover were the ones who saw it in person. So it’s entirely possible that the grey works better online and the red works better face to face. Which is a tricky question, since most people will buy this book online. It will be available to order in bookstores, but most people will see it on Amazon or as an e-book first—the opposite of the days of yore. Which makes me wonder if I could have a different cover for e-book or print—or if I just have to choose the one that looks better as a thumbnail rather than in real life, which is an interesting reversal of fortunes. First I have to get a copy of the red in print. Then I’ll decide. However, my decision will not be set in stone. And this is not a democracy. (Even if it were, only 22 people have voted so far, with the vote 13 to 9 in favour of the grey, which is not a stunning sample size.) 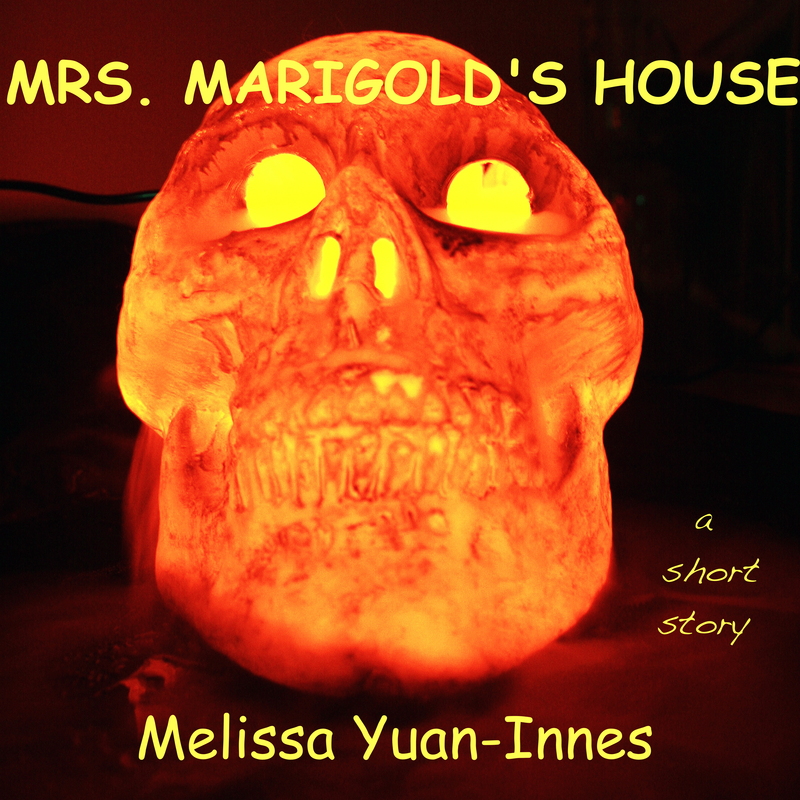 Ultimately, I will choose the cover, and I may be crazy enough to do it differently for e-book and print book, or make one cover special order. Through the miracle of technology, I can also change my decision later. Hooray for indie publishing, and thanks for taking the time to vote! 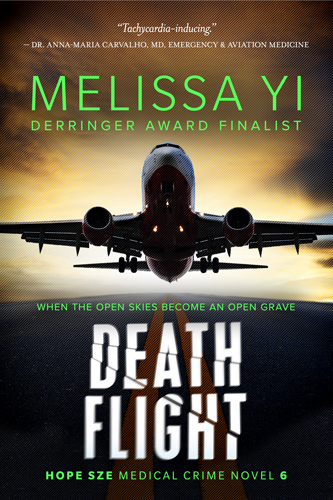 I’m not a graphic designer, nor do I play one on TV, but I do have some cover tips for writers entering the wild and woolly world of indie publishing. 1. Start with a good image. I look at free sites (http://www.sxc.hu/, http://morguefile.com/), but I also pay for images. First of all, they’re artists who deserve to be compensated; secondly, they do a better job than me; and thirdly, at this point, it’s not worth my time to keep looking around or trying to shoot photos myself. 2. Convey the information: the title and author name. a) It must be clear, even as a thumb-sized image. b) Avoid pitfalls. Kindle used to put a logo in the bottom right hand corner over the cover; don’t let them cover up your information. Having just gotten a Kindle myself, I see how different covers look in black-and-white and now I’m doing high-contrast covers for the Kindle alone (which is worth it for me, since I sell much better on that platform right now). c) Play with the fonts. I use dafont.com and I adore it (again, I am willing to pay if need be). 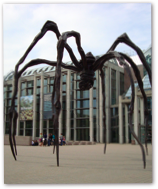 So much of the spirit of your book is transmitted by the font, which is really part of the art. 3. Play around in general. Get a good graphic software (I’m using Mac’s GraphicConverter, but it doesn’t do layers or transparency for me, so I’ll try to figure out another one. Gimp seems too hard. I’m open to suggestions). Then just move stuff around and see what you think. Save multiple versions and ask for feedback. Now I look at how graphic designers break that rule, but do it right. Since I am still a beginner myself, without much free time, I search for images where I can add text without messing around too much. I look at books to see not only what’s done right, but wrong. I sometimes pick up (sorry) small press Canadian books and say, “Hmm. This looks bad. Why?” and try to analyze it. I also found myself paging through magazine ads, which I used to consciously ignore, but they are masters of conveying information with a strong graphic. Bored panda is a guru. 5. Keep it simple and focused on the visual. 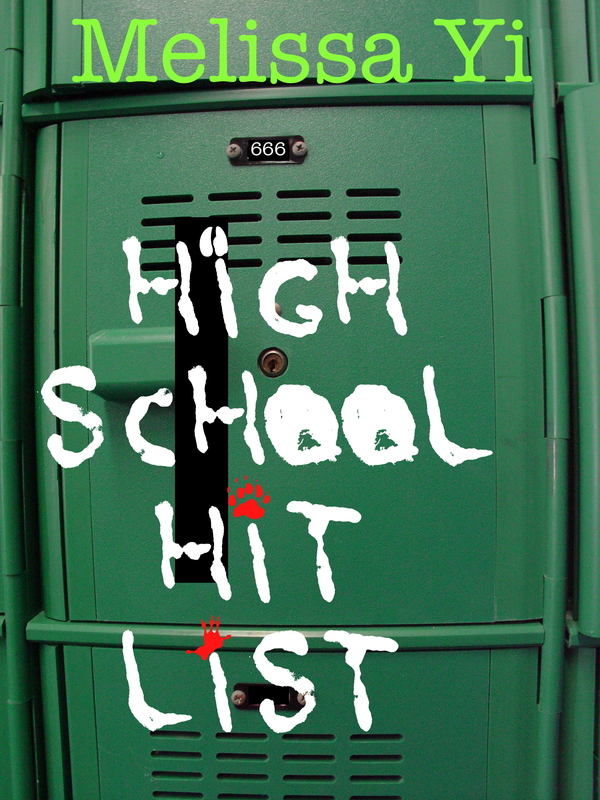 For example, last night I was playing with the cover for High School Hit List, my YA thriller about a high school bully who terrorizes the school vs. a Mohawk kid who talks to animals. I couldn’t find a Mohawk visual that satisfied me. Jimmy is not super into his culture and mostly I found stereotypical images of teepees and pow wows, some of which are beautiful, but not “him” at all. So I went for a high school image. I paged through lots of them before I chose this locker, which, for me, a) conveyed the claustrophobia of high school, and b) was easy to add text to. I went through a lot of fonts, including punk’snotdead, which I loved but couldn’t make it really legible as a thumbnail, so I killed it. My husband Matt voted for this font, Arslan’s blood (no, that’s not a creepy title at all!). I still wanted to incorporate Mohawk culture, but didn’t have confidence that I would do it well, between my basic photo editing skills and the fact that I’m an outsider. But upon reflection, I realized that I needed to bring in animals more than Mohawk culture. So I searched for animal dingbats and ended up using Animal Tracks as punctuation. And I lurve the final version. 6. Keep a list of the pertinent info. As the very intelligent Annie Reed pointed out, you should maintain a log of where you got the image, do you need to give credit, what font(s) you used, so if you do a series, you can maintain continuity. For more wisdom, check the comments on Kris Rusch’s latest post here, where Carolyn Nicita gives a great rundown, as well as offers cover links on her own website.